＊Use of high efficiency Thermo electric cooler module (36Watt, 30mmx30mm Size). 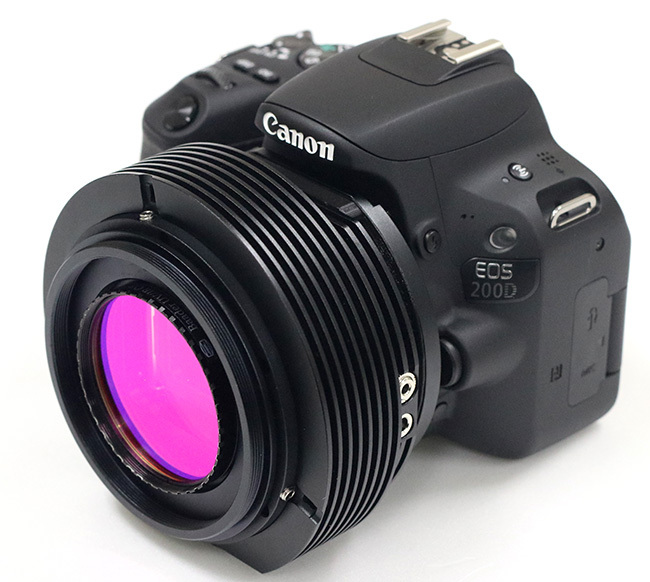 Astro 200D, Astro 80D are the cooled camera version of canon’s 80D and 200D APS-C sensor DSLRs. 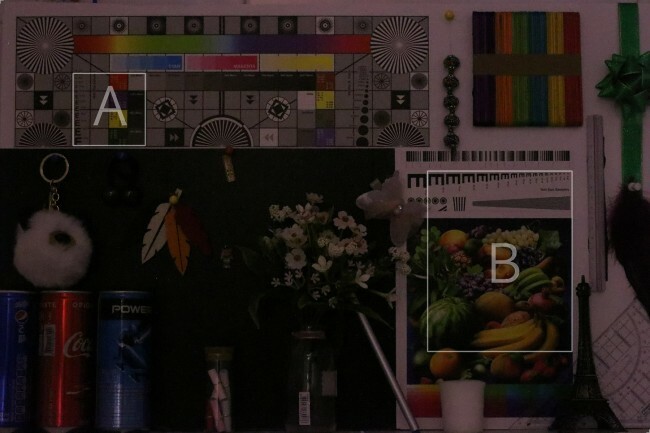 These two models are equipping new upgraded CMOS sensor applied On-Chip ADC technology and give us higher low light performance and good Dynamic Range compared to former canon’s DSLR’s. Sensor dimension is 22.5×15.0mm(80D), 22.3×14.9mm(200D) and pixel size is 3.75μm(80D): 3.72μm(200D) Sensor specification is so similar but not same sensor. 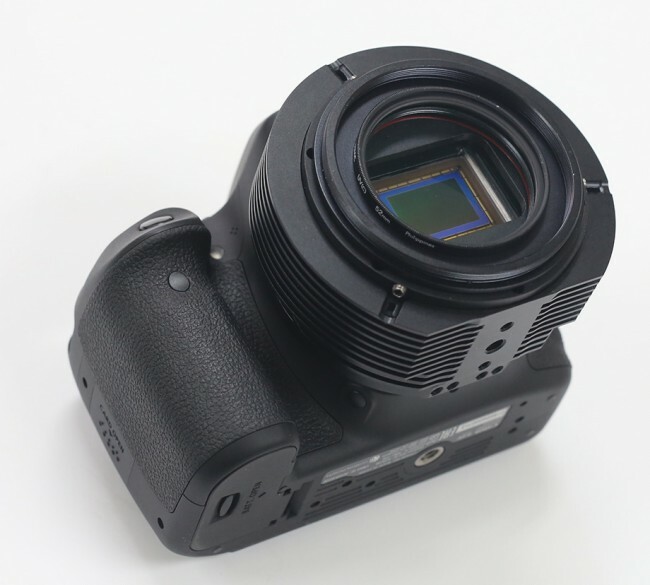 The major design point of 200D is small and light weight camera. 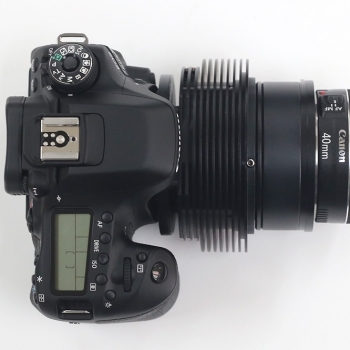 For this purpose Canon reduced the number of parts and integrated the circuit boards. In contrast, The hardware system of 80D is faithful to principle and canon did everything they could do for performance. For example, In most mid range Canon DSRs having FPC Data cable of from CMOS to Main Board, but that of 80D is MCX cable (Micro coaxial cable) to minimize influence of external noise. 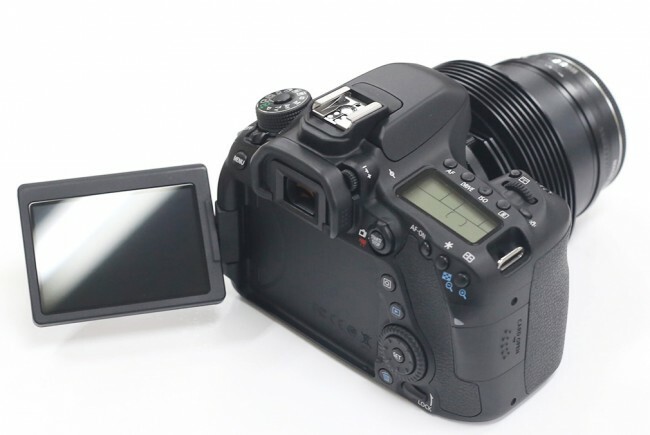 As mentioned above, the hardware specification of 200D,80D are unlike. 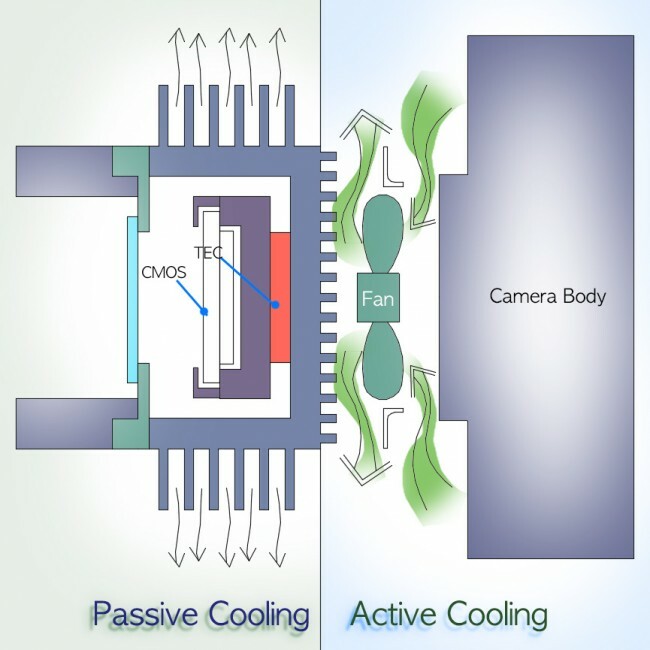 Whereas we applied a same modification concept ‘Hybrid Cooling’ and the cooling performance of these are same. 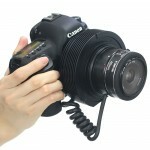 All Camera of CentralDS is use Thermo Electric Cooler to cool down image sensor. 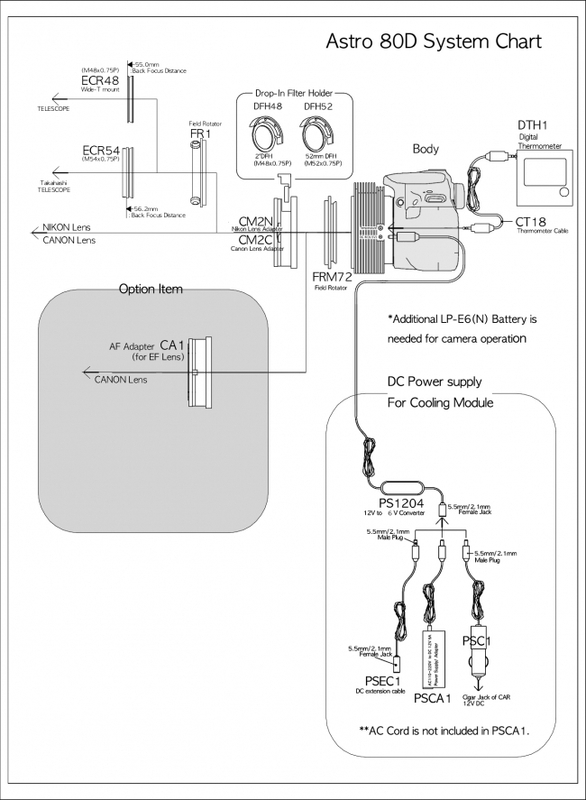 In Astro 80D & 200D, 36Watt high performance TEC module is installed . 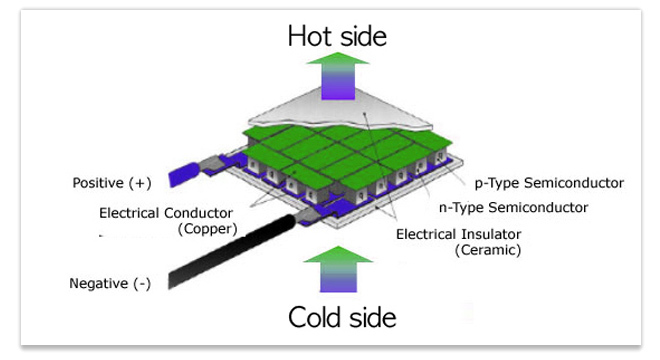 and more expanded heat radiation area and new hybrid cooling system made it possible to reduce current consumption to 1.8A and to maximize cooling performance. The Housing of cooling module of Astro 80D & Astro 200D is functioning as heatsink for heat radiation of Peltier element and it’s temperature is higher than that of ambient air.This housing deliver the heat to Clear Window in front of CMOS and make it warm. We took out the sensor and moved it towards the lens and made a cooling module. 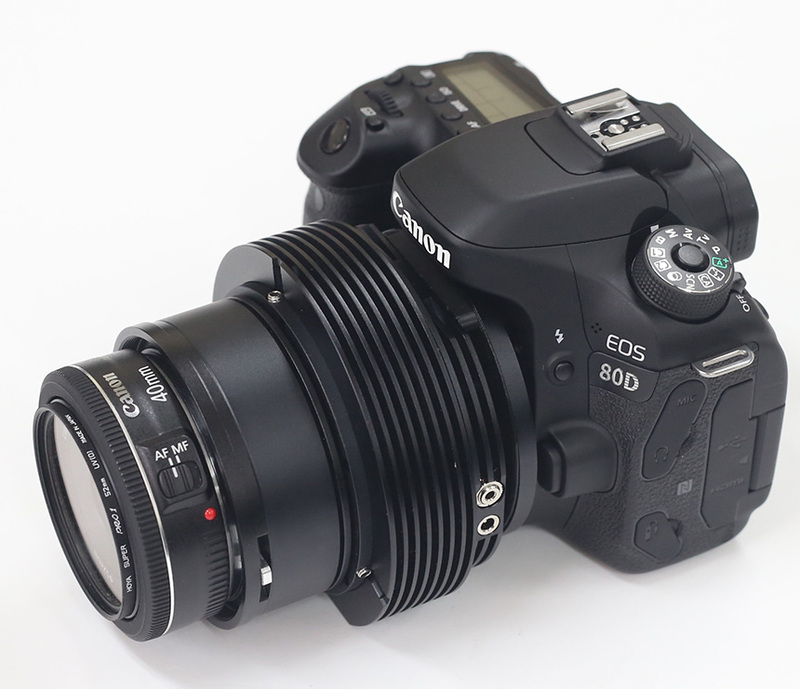 We came to conclusion that this method is the best solution for 80D & 200D camera which has such tight inner space. We had questions about the reliability of the extended CMOS connection cable and decided to test it.Before we performed the tests, we strengthened the ground circuit and made a heat sink and cold block to unite to the camera’s ground circuit and made shield covers.With the extended cable the camera worked well without any errors in still shot photography and in movie mode. I guess that the CMOS cable delivers only digital signals. The lines are composed with pairs and the additional ground and shield has helped the stability of the circuit. The relocation of the image sensor out of the body has merits and demerits. 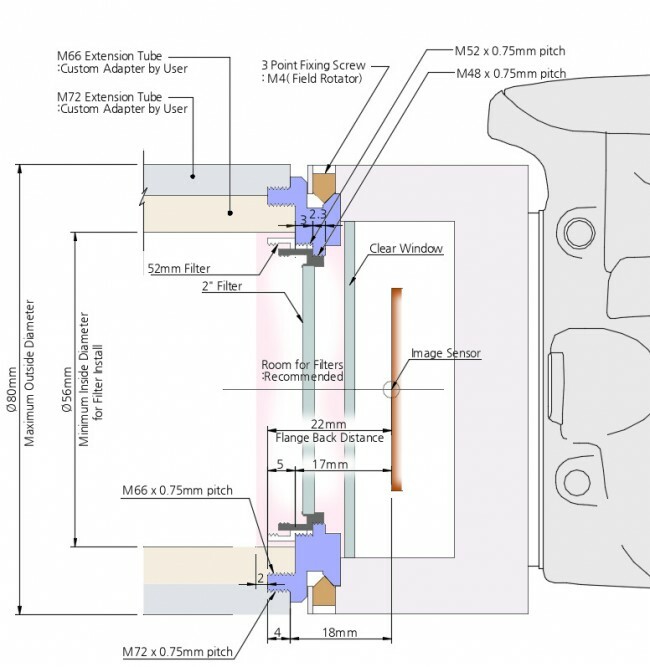 First the mechanical shutter is made redundant because the CMOS has been moved in front of the shutter.Canon DSLR’s control the amount of light to the sensor by a combination of the mechanical and the electronic shutters. 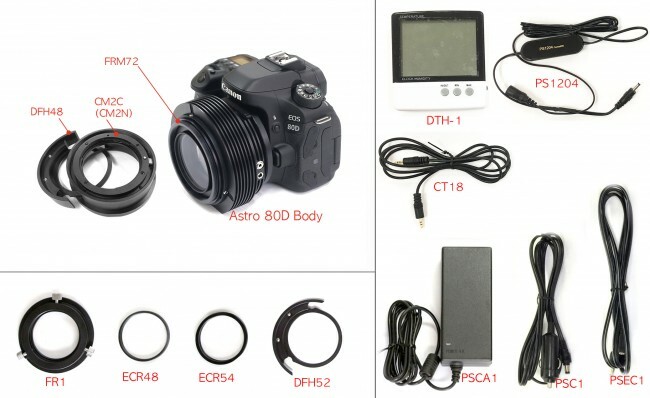 The modified 80d & 200d’s exposure time will be controlled only by the electronic shutter which means exposure control of sub second exposures is not reliable. 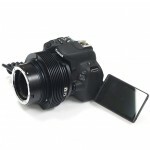 Second is the fact that you are no longer able to use the optical viewfinder. However you can focus using the Live View mode. 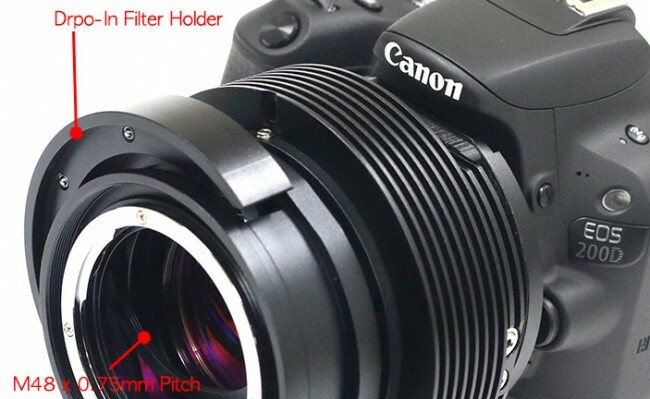 With a filter(2mm thickness) in Drop-In Filter Holder, Flange Back Distance of Astro 80D & Astro 200D lens Mount is 44mm, it’s same as the Canon EF/ EF-S mount. 2. 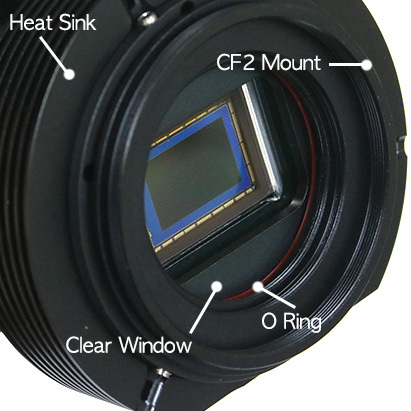 The cylindrical heat sink and cooling module is similar in shape to that of a normal DSLR and makes for a good user experience. 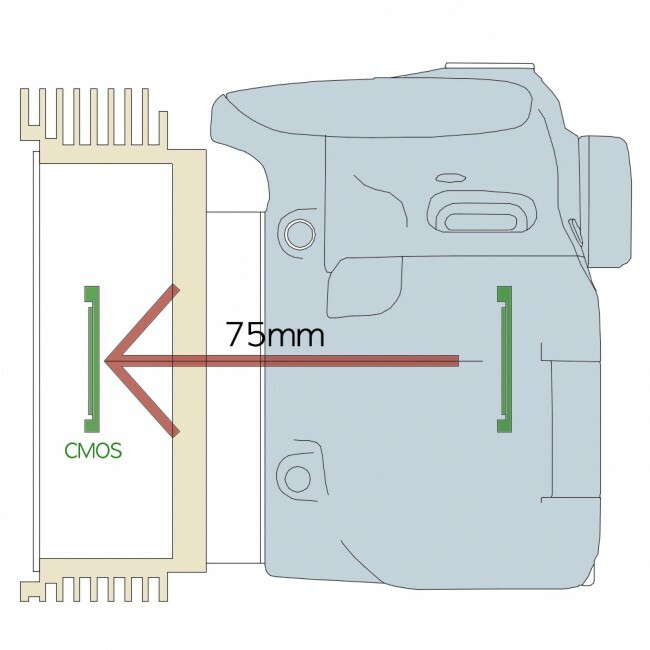 Recently the was a big development in Canon’s CMOS technology. That is moved A/D converter into CMOS wafer (= On-chip ADC). 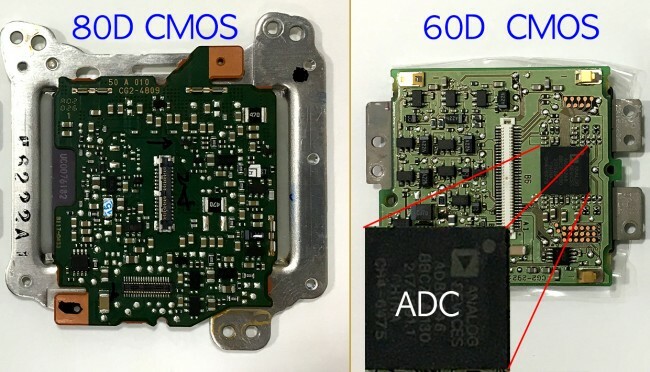 We can see the fact from more thicker blue frame of CMOS sensor area and also we can found disappeared ADC from Analog Device company from back PCB of image sensor. 5D Mark IV, 80D, 200D are having this new CMOS. This jumped technology make possible to reduce dramatically Read Noise when the light signal is changed to electric signal. This is very helpful for low light photography such as astro imaging field and it make possible to separate the low signal from the background noise. We can see the changed background noise pattern and can’t find any ‘banding noise’ the old issue of canon DSLRs. 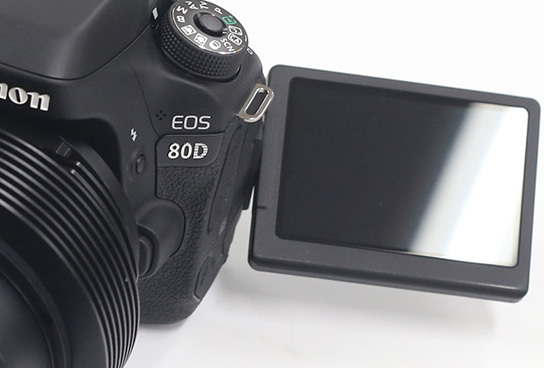 The 80D & 2000D features a bright, high resolution, flip-out Vari-angle 3.0-inch Clear View LCD monitor for shooting at a variety of angles. 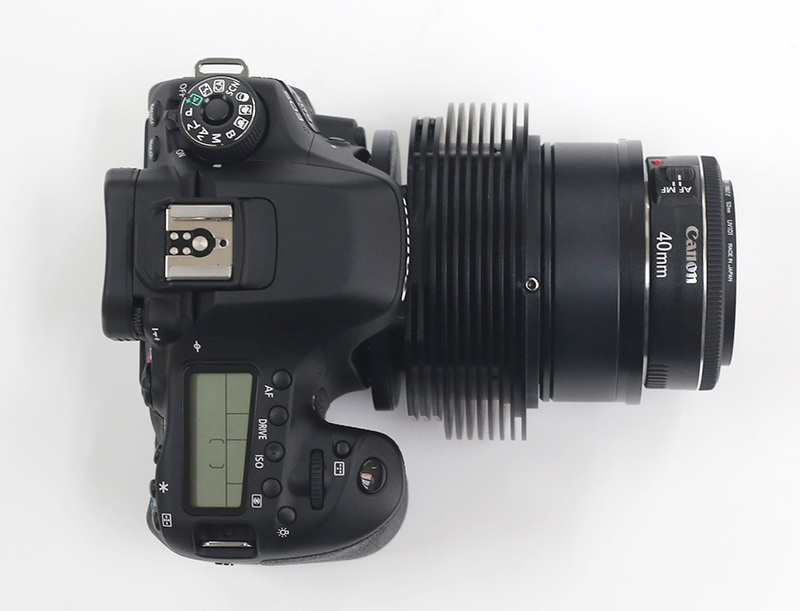 By easily switching between low and high angles, the 80D & 200D freely enables angle adjustments even if the camera is mounted on refractor or newtonian telescope. 200D(=SL2) is having New Image Senor, Vari-Angle LCD, Wifi, Touchscreen, new Digig7 processor and the performance is equal to standard APS-C sensor DSLRs. But still it’s the successor of 100D(=SL1) as light weight ,smallest DSLR. We added new hybrid cooling system without EXcooler and completed light weight ( only 840gram) cooled camera. There are two new useful functions [ interval timer / Bulb Timer] in 80D menu setting. [Interval timer] can work with 30sec under exposure time except Build mode, it can control number of shots and interval time of each shots. [Bulb Timer] can set the exposure time in Bulb mode, this make shooting of astro photo without any external release. Astro 200D & Astro 80D inherited the concept of Astro 6D in cooling module and heatsink design. But changed EXcooler to rear fan on hot side of TEC. In Astro 200D & Astro 80D , Heatsink on outer housing perform passive cooling to ambient air. And the fan on the rear side of TEC perform active cooling. 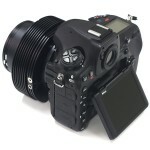 Since Astro 6D, Drop-In Filter Holder is basic adapter system of Astro Series cameras. 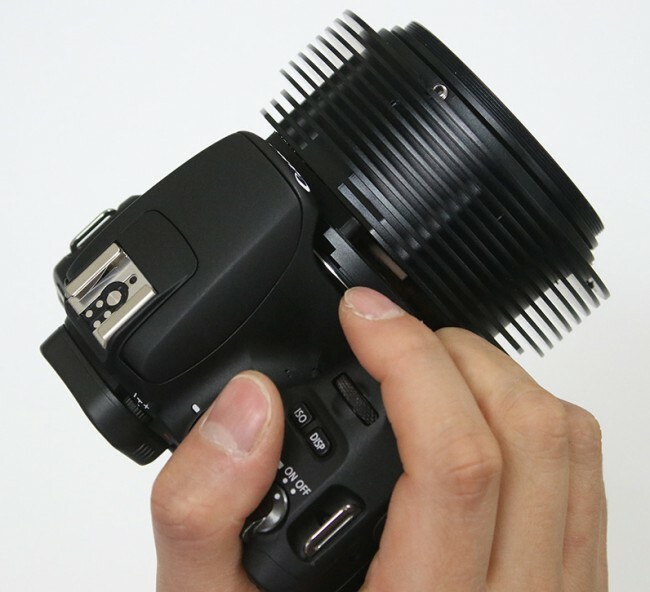 DIFH is very useful tool but DIFH was so troublesome to install lens communication system on the lens mount. 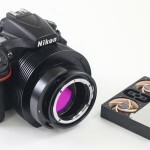 And we made 3types Lens adapters. These adapters can be installed CF2 mount by M72/M66 screw. 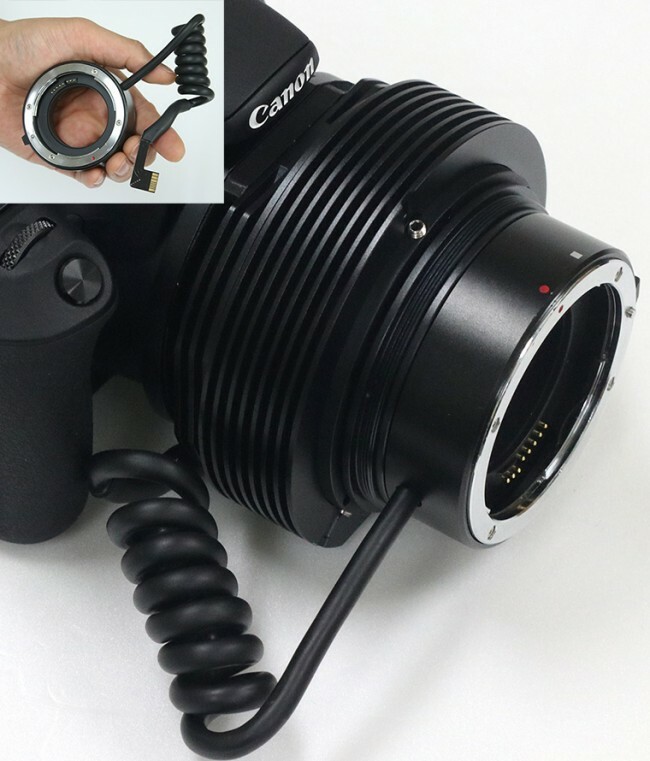 AF mount adapter can be attached easily by M66 x 0.75mm pitch thread and communication cable can be connected to circuit of body by a simple PCB connector. Now you can control the focus and aperture recent STM lenses or USM lenses with Astro 80D/200D. 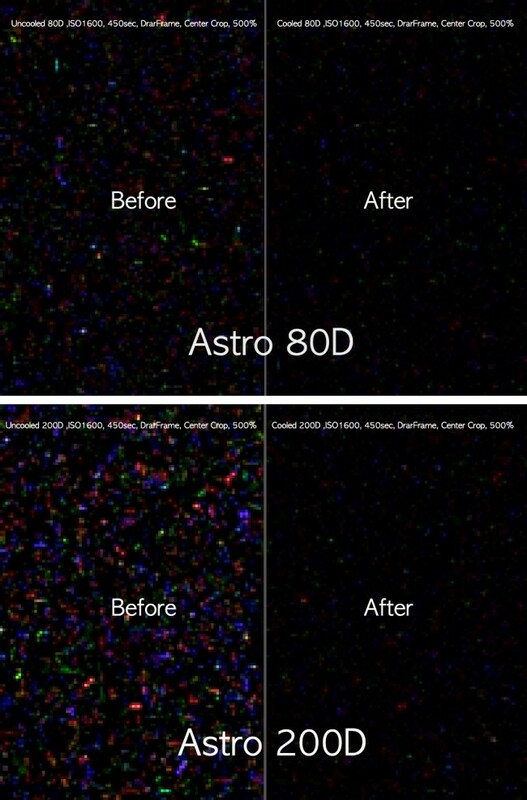 CMOS of Astro 200D & Astro 80D is isolated from the camera body and it’ free from the internal electric noise and fully protected from external noise by aluminum housing and it’s possible to catch noise free Astro images. In addition, the cooling module reduce the background noise dramatically.